The New York Times Food Section ran an interesting article this morning. 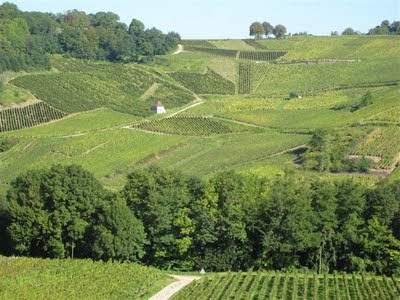 Eric Asimov, their excellent wine writer, notes in it that “Wines from the Jura [in Eastern France] are among the most unusual in circulation, made from obscure grapes and offering unexpected flavors. One might even call them geeky, for good reason. And that, really, is the crux of the article for me: Not the specifics of the wines of the Jura (though they are more than worth a try, and certainly offer an abundance of their own unique pleasures), but the fact that there are still wines out there that most people have never tasted. Or, at the very least, have not explored in much depth. Among many wine professionals, it has become a mission of sorts to introduce people to more of the less-known wines from around the world. For, indeed, we now have greater access to more of these less-familiar bottlings than we ever have before. From Cotes du Jura Chardonnay to German Spatburgunder to the wonderfully versatile dry Furmints of Hungary, the world of wine can be as rewarding, as unexpected, and as intellectually challenging (in a good way!) as you are comfortable with. The key is to be open-minded, not married solely to the flavor profiles and textures that you’ve grown accustomed to, and willing to take a risk. The payoffs, as you might expect, are tremendous. And, more often than not, really tasty.